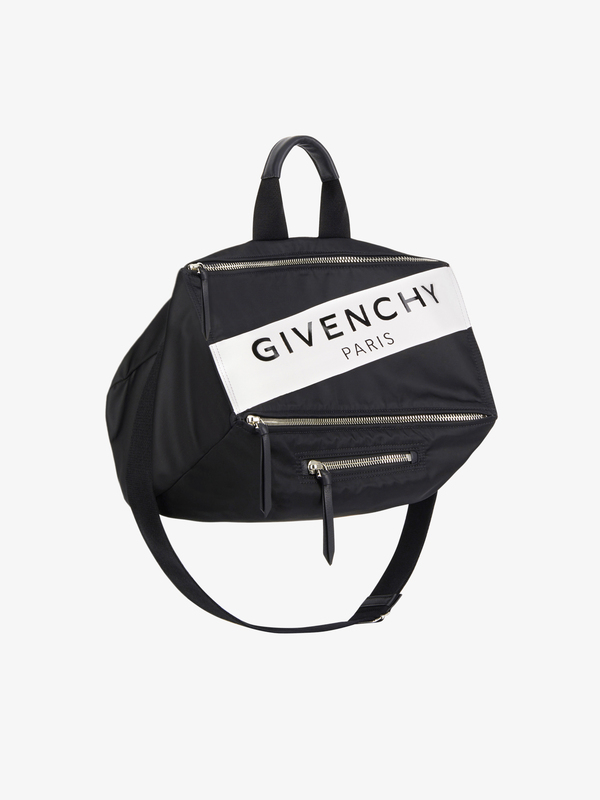 Pandora cubic messenger bag in black nylon with white rubber GIVENCHY PARIS band on the top, metal zippers, single handle, and wide removable, adjustable shoulder strap in black canvas. Black leather zipper pulls and details. One small zippered pocket on the outside. Main compartment with two zippers and one zippered pocket on the inside.